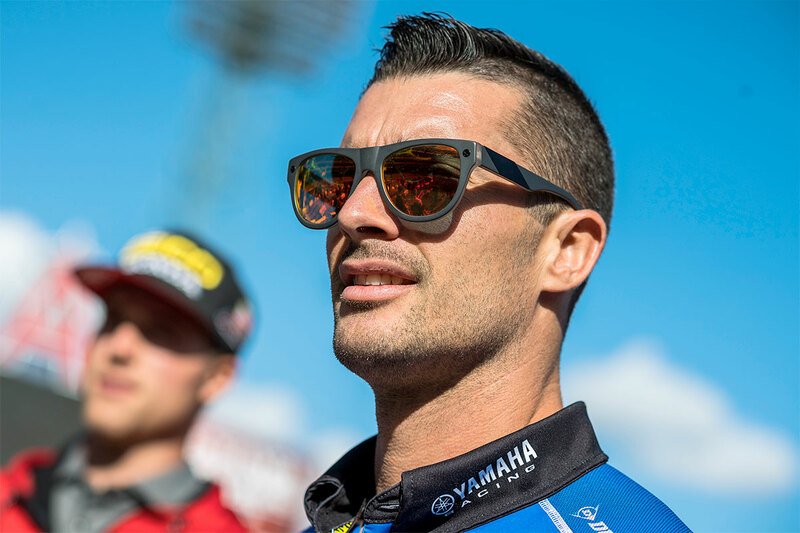 Yamalube/Star Racing/Yamaha’s Dan Reardon has consistently been in the mix during the opening four rounds of the 2017 Monster Energy AMA Supercross series in the Western Regional 250SX division. The 31-year-old landed his replacement ride – filling in for Colt Nichols – late in the pre-season and stepped back from a 450 to the factory-supported YZ250F for his American return, but has quickly adapted to the fast-paced style of the category among a host of the sport’s most aggressive young talent. 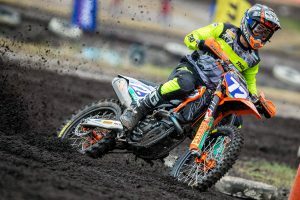 MotoOnline.com.au checked in with the Queenslander following Phoenix to see how he’s progressing so far. Yeah they are, they are heading in the right direction. Each week and each time I jump on the bike things get better, I get more comfortable and we make a small change here and there. Things are definitely getting better, but sixth is maybe the best result I’ve had this year, but it’s still not good enough. I know I’ve got a lot more to showcase and we just need to alter a couple things and change a couple of things during the week. They’re not drastic changes, but I want more than that and that’s pretty much it. That track on the weekend looked super-technical on TV. What was it like from your perspective? The track was technical and there were a couple of things that they changed after the first practice. They got rid of a three here and there, put some more dirt on a couple of the tabletops, they altered a couple things to make the track a little more rideable. In the first practice there was pretty much one line around the track – there was a fast line or a really slow line. So if you could make the big jumps, your lap times would be leaps and bounds ahead of the others, which was good and bad. So they did alter a couple things and I’ve read a bunch of things about people complaining, not so much the riders, more the people that don’t really get it. They’re looking at the track saying it’s really technical and everyone’s getting injured, but my point of view was that the track wasn’t overly technical as a rider. It was technical, but it was nothing that was out of reach for us. 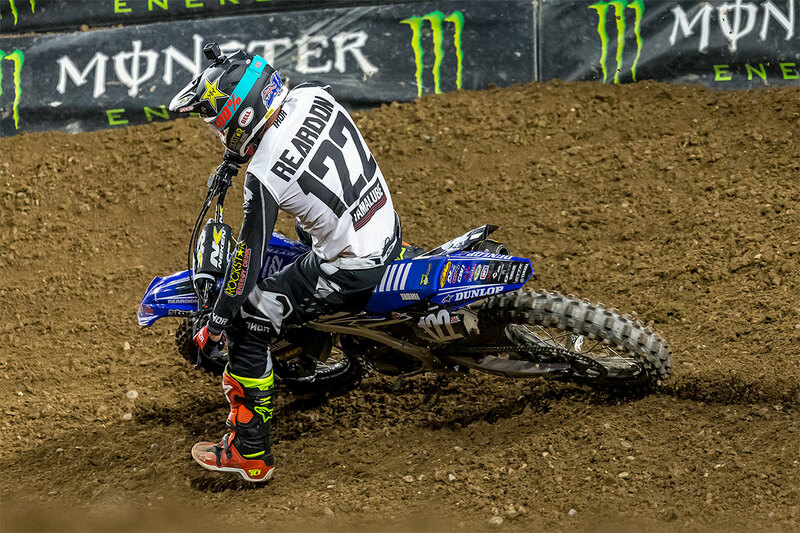 At the halfway point of the West Coast 250SX’s regular season – plus you have the East/West shootout in Vegas to come as well – how would you rate your performances so far? To be honest, they were kind of average. It’s good, but it’s not good enough, and that’s just me – I’m not getting pressure from anyone else. I’m not executing a couple of things as well as I would like to and when you have the depth and talent that is here – this is the best of the best – you need to make sure that you’re on your game all the time. It starts in the first practice and continues all the way through the night show. Each round I go to I get excited to turn up to a new round, a new track, you feel like you can re-do everything again. So things are good, but they’re not good enough and I really want to try and turn this around a bit in this next half of the season. Obviously we want this for Australia and we want our series to be like this – and it’s going to take a very, very long time for it to happen – but yes, it is very nice to race every single weekend because you’re not waiting three or four weeks between rounds and you get to go into the week with momentum. You quickly digest the weekend, pros, cons, everything like that and then you make a plan for the week and work on those things and before you know it, you’re back out racing again. Racing itself is a great learning tool and everyone improves by racing each weekend, it’s just nice to get into a training regime, a riding regime and to be back at the races. Racing is where it’s at, that’s where I get the most enjoyment out of it, the pressure, the uncertainty, the new track, everything that comes a long with it. Even the arm-pump, as weird as that sounds, I kind of look forward to going through that in first practice [laughs] and then getting the weekend done. So it’s awesome racing week-by-week. Is a podium within reach if you put it all together before the season’s out? You were almost there in San Diego, in terms of positioning before you went down. I do. If you look at the results at the end of the racing and really break down the race, some people it may be out of reach or it wouldn’t be possible, but I know that it is. I just need to change a couple of things and they’re not big things, it’s not like I all of the sudden need to cycle twice as long this week or ride twice as much. They’re only small things and it’s about putting myself in a better position earlier on. It’s not out of reach, I know it’s not, and that would be awesome to be able to do that. Even to win a heat race and be in contention to win a heat race, my riding so far, there’s been really good points about it and some points that weren’t that great. It’s just about putting all of those pieces together and making it count – it’s possible, definitely. Who have you been riding and training with from week to week over there? A lot of the Australians will probably remember Gareth Swanepoel, who came out and raced in Australia a few years ago. He’s actually the team trainer, so we’ve got a little group, a little ‘Team Swanny’ over here. 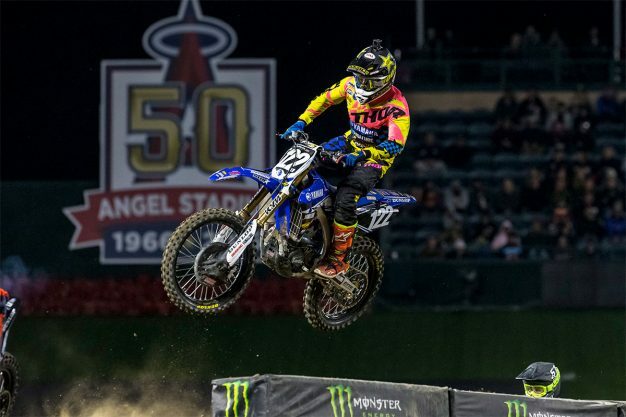 It’s myself, Aaron Plessinger and Cooper Webb, we pretty much do everything together, we train together, ride together, travel together, it’s a really cool little group. Each of us, whether we’re at the track or training during the week, we push each other, which makes it fun. I’m a little older than those guys, well, a lot older than those guys, so it definitely makes thing interesting and it’s really good to be in that environment. Everyone wants to do well, everyone wants to win and have a solid week, we talk about the track, the weekend and everything like that – the program is solid. 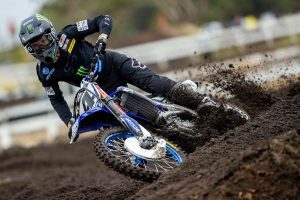 Before we go, tell us, how good is that Yamalube/Star Racing/Yamaha YZ250F that you’re on in America? We’re hearing they make pretty incredible amounts of power! To be honest, it’s kind of amazing. 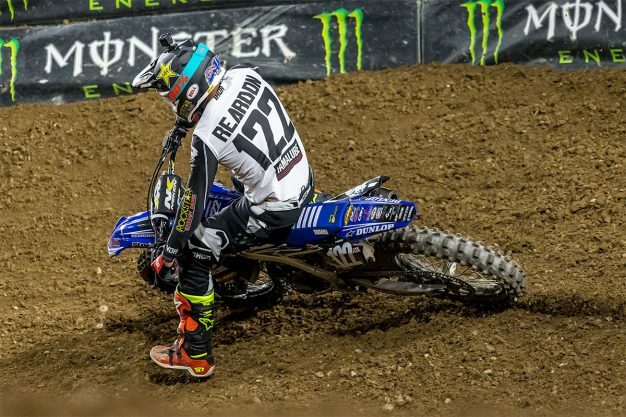 It’s amazing that they can get that amount of power out of a 250 and I can’t really comment on other brands or teams because I don’t know, but when I used to race a 250 back in 2008, those bikes then were amazing, but these would just completely blow the doors off those bikes. A lot of people will never get the opportunity to ride one of these bikes and feel how it is, but it’s not far off a 450. 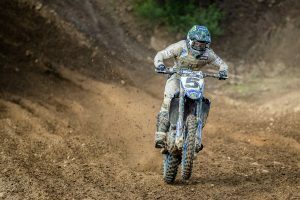 There’s some things these bikes will do that would be better than a 450, every time you ride you are blown away at how much power these bikes really can make. No worries mate, well good luck in the rounds to come, we’ll be sure to stay in touch.